Since they are developing a MacOS version too (crazy! right? ), there should be a reasonable financial incentive for it. If they don't make any money, why do it? Good Samaritans are like unicorns and we all know it. Are MacOS sales really worth anything? Are they worth MORE than the Linux sales? I mean even Apple seems to consider gaming in MacOS to be like 'eh, whatevs'. Maybe there could be close to zero effort to bang out a MacOS version once the Linux port is done? I really don't think so, but I have no real insight here. Quite interesting if we could hear what Feral has to say about this. Keyrock I recognize that the reboot games are well made games, they're just not what I was looking for from the series. Shadow seems to be the closest the reboots have come to being like the old games. Though old enough (by far), I had the advantage of never having playing any Tomb Raider before. On its own, the reboot was quite a good game. At the very least, a MacOS version can't use Vulkan directly. Well, I mean it might be able to with MoltenVK if everything here is supported, but I suspect not, meaning there's at least a little more than zero effort. I would guess that most of the interface layers are becoming stable enough though that Feral can port a DX11 or DX12 backend to Vulkan or Metal with relatively less difficulty than, say, a year ago however. Why would you install manually on Mint when you can use a PPA and forget about manual updates for the rest of time? I am curious to know what will the minimum requirements be?? if windows is asking for a 1050, linux port will ask for a 1060?? seems to be a little over the top. 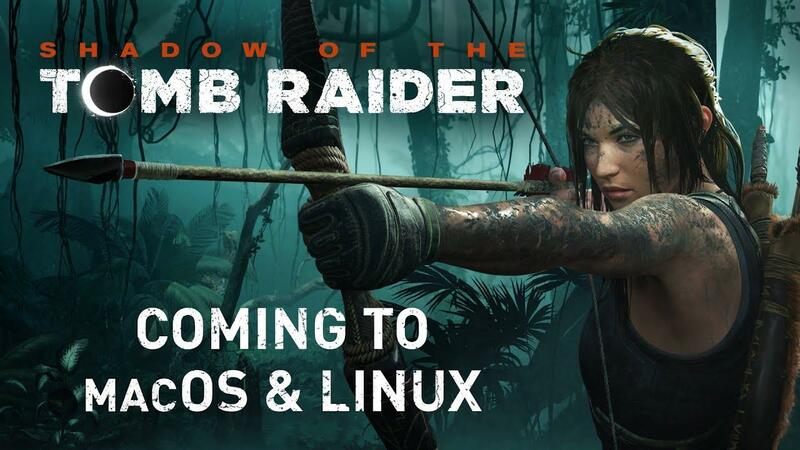 Hope it really turns up to be an excellent port so 1050 should be enough, but most of the times that´s not the case, linux games requires more hardware. I don't know, I haven't used a PPA in a long while and the driver manager really doesn't seem to do much or say anything. the reason i believe in porton over feral rpg and adventure ports, i will be able to take almost my entire collection over to linux, instead of praying a dev will port it to linux. There is already a wide range of high quality game titles available on Linux right now, so if you still cannot find anything interesting then maybe Windows is a better alternative for you. To switch to Linux and then to complain about the games you cannot play because of this isn't much use to anyone, especially not yourself. I don't complain about people playing games on Windows, and it does not bother me. I did it myself up to the point where Windows 10 became an issue and it was ok. It is of course good that old titles can be made available for Linux via windows emulators like Proton and Wine, but for new games there is really no reason to stick to Windows only. Finally I cannot understand why you complain about Feral porting a game to Linux? What does that have to do with you playing windows games using the Proton emulator? It looks to me as if you imply that just because you like to use Proton everybody else should also like it? Well, I don't, so for me a linux version of whatever game is a positive thing, and in my opition I owe it to Feral that I can play many of the best games out there without any emulator at all. I have 30+ titles that I like on Linux already and it can last me a life time, but I fully expect there to be more in the future.